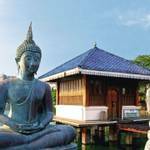 Discover Sri Lanka and India on this fabulous 14 night cruise aboard Marella Discovery. Explore bustling cities such as Colombo, Kerala and Mubia and relax on some of the world’s most beautiful beaches in Mangalore and Goa. 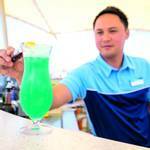 Plus with an all-inclusive package on board the ship we can enjoy many sundowners on deck – that will surely get the party started! Departing London Gatwick on our overnight flight to Langkawi. 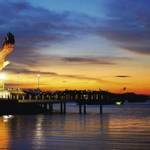 We start our cruise with an extended stay in Langkawi allowing you to take advantage of what this island has to offer. There’s a paradisal quality to Langkawi, which is anchored off the west coast of Malaysia, in the Andaman Sea. 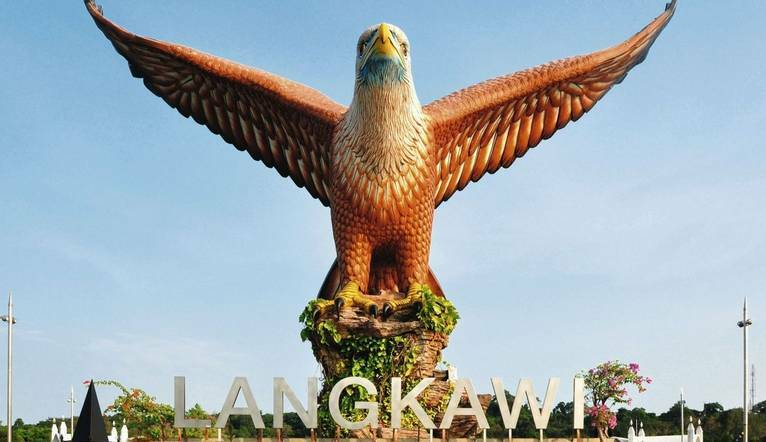 Things are pretty laidback in the island’s premier town, Kuah, which has a waterfront that’s home to family-run shops and rustic bars, plus a huge statue of a swooping red eagle. In the north, you can take boat trips into vast cave networks, and the centre of the island’s dominated by rice paddies and the tree-draped Gunung Raya Mountain. Sleepy fishing villages are dotted around the unspoiled coastline, with meringue-white beaches punched between them. If you’ve got a head for heights, take the Langkawi Cable Car to the top of the Gunung Machinchang Mountain. 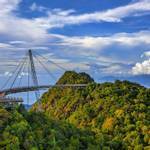 Soak up the views from the peak and the Langkawi Sky Bridge. This suspended walkway curves high above the leafy canopy, and offers the best panoramas of the island. Tanjung Rhu delivers one of the best sunbathing scenes in Langkawi. Rocky islands out to sea are like a scaled-down version of Vietnam’s Halong Bay, and you can explore limestone caves and mangroves when you’re not on the pale sands. At Telaga Tujuh Waterfalls, you’ll be able to dip your toe in Langkawi’s top-rated natural attraction. The name translates as ‘Seven Wells’, but what you get is a series of pools and channels with waterfalls trickling between them. Enjoy this time at sea to relax, enjoy the facilities on board Marella Discovery as we cruise towards Colombo in Sri Lanka. Colombo is a city in transition, where classic architecture is learning to share the streets with modern, cloud-piercing arrivals. The Fort neighbourhood blends skyscrapers with British and Dutch colonial buildings, like the Town Hall and the General Post Office. In the Pettah district, you’ll come across hectic market streets where you can haggle for clothes, fruit and souvenirs. Tuk-tuks trundle between the stalls, and green-tinted Beira Lake is just around the corner. Down at the waterfront, the pretty Galle Face promenade rolls out beside the Indian Ocean. Cricket’s a way of life in Sri Lanka, and one of the country’s top grounds is in the heart of Colombo. The R Premadasa Stadium has hosted hundreds of international matches, and can fit more spectators than London’s iconic Lords Cricket Ground. Viharamahadevi Park is a welcome slice of green in Colombo’s urban centre. Take a stroll along the pathways, and you’ll see a giant Buddha statue, ornate water fountains and a mini-zoo. The National Museum of Colombo has the biggest collection of artefacts and exhibits in the country. The whitewashed building’s finished in a Neoclassical style, and inside you’ll find items like the throne and crown of historic Kandyan kings. Relax with a day at sea, before the major sightseeing commences. 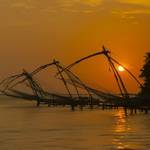 This bustling spot – which is also known as Kochi – is one of India’s largest ports. It’s set in the Lake of Kochi on Willingdon Island, so the easiest way to travel to other parts of Kochi City from here is via a ferry. But, if you want a break from sailing, you can haggle with a tuk tuk driver – the different islands are linked by bridges. You’ll find a selection box of cultural influences, alongside Indian, around here, including Portuguese churches and the iconic Chinese fishing nets that drape over the surface of the water on Fort Kochi beach. Take a look at the Mattancherry Palace. This place was originally given as a gift from Portugal to the king of Kochi. Now, it’s a gallery which features lots of portraits, alongside a big collection of myth-themed murals. Visit Fort Kochi beach to see the remains of Fort Emmanuel. In its heyday, this Portuguese-built structure was key to the defence of the port. Wander round the Mangalavanam Bird Sanctuary. You’ll find this reserve on the shores of Ernakulam City – it’s full to the brim with exotic birds, like brahminy kites, redshanks and marsh sandpipers. Long sandy beaches are among the first things that come into focus as you cruise into Mangalore. The coastline’s brushed with footprint-free sweeps that wouldn’t look out of place in the Caribbean. Many see Mangalore as a gateway to the region, but it’s got a few aces up its sleeve, as well. The 230-year-old Sultan Battery was built to defend the city from invaders, and throughout the streets you’ll find temples and cathedrals that each show off a unique look. The banks of the Gurupura River are lined with coconut trees, and it flows all the way from the Arabian Sea to the UNESCO-ticked Western Ghats mountain range. Head to Panambur Beach, where the cushion-soft sands are well-suited for sunbathing, and you can sign up for jet-ski rides and boat trips. On the outskirts of the city, you’ll find one of its natural wonders – the Adyar Falls. They’re tucked away near the banks of the Netravati River, and you’ll have to trek through the greenery to find them. The scenery doesn’t get much better than at Pilikula Nisargadhama. It’s a set of botanical gardens wrapped around a huge lake, which swans and boats drift across. The name translates as Pond of Tigers, as ancient tales say tigers would drink from the lake. Day 11: Mormugao, Goa 08:00-18:00. Docking in Mormugao puts you a hop, skip and a jump away from some of Goa’s best bits. Within an hour’s drive, you’ve got the state capital of Panjim, the UNESCO-listed city of Old Goa, and a clutch of beaches that boast powder-soft sand. The rest of the state acts as a bridge between eastern and western culture. 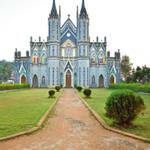 Goa was a Portuguese colony for over 400 years and this is clear to see in its architecture. You can wander past crumbling European-style churches down to beaches that are lined with shacks cooking up spicy treats, like Goan fish curry. Ramp your cooking knowledge up a notch by learning all about spices on a plantation tour. See where black pepper, cardamom, nutmeg and cinnamon grow, as well as tropical fruit trees. 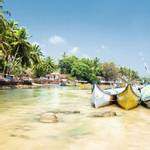 Make a visit to Velha Goa, AKA Old Goa. The remains of the city have been recognised as a UNESCO World Heritage Site. Here, you’ll find ruins alongside well-preserved churches and cathedrals. Day 12: Mumbai, India 09:00-19:00. With over four million international visitors a year, a stellar selection of rooftop cocktail bars, and boutiques taking inspiration from the streets of Paris, it’s no wonder that Mumbai’s a front-runner in the race for the cosmopolitan crown. 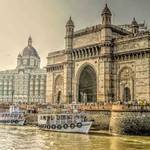 Nicknamed the ‘Gateway to India’, this bustling city’s home to landmarks like the Hanging Garden and the imposing World Trade Centre. Get acquainted with the ornate Rajabai Clock Tower, which may look slightly familiar – it was designed by an English architect, who modelled it on London’s Big Ben. Head to a market and shop as the locals do. On the aptly named Fashion Street, you’ll find a medley of stalls selling big-name brands alongside artisan wares. For vintage finds, make your way to the Chor Bazaar. Sip tea from a street side chai-wallah – AKA a tea-maker. They draw in the crowds as they pour the tea from a metre or so above the pot, to properly blend the chai. Listen for the chirruping sound of the ‘chai-eee’ sales pitch. After all that sightseeing, now is the time to relax on board as we sail towards Dubai. Dubai is the city that needs little introduction. 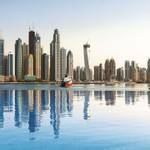 It’s tossed out the rule book – case in point, the ear-popping 828-metre-tall Burj Khalifa. Throw in the extravagant Palm Jumeirah, and this just about sums up the city’s love of lavish man made spectacles. Modern structures aside, it’s a heady mix of spice-scented souks and gold markets. Venture a little further out and you’ll find Dubai’s natural adventure playground – the desert. Marella Discovery is one of the biggest ships in the fleet. You can expect all the Marella Cruises trademarks, like a fantastic dining scene, a show lounge to rival the West End and smart, contemporary interiors. And the best bit - on Marella Discovery, everyone goes All Inclusive. This means your drinks, including prosecco and cider, plus meals in five restaurants and most onboard activities will all be part of the deal. Discovery is one of Marella's biggest ships, with a total of 918 cabins and 11 decks, Marella Discovery has a maximum capacity of 1,830 passengers. Its highlights are an outdoor cinema, a rock climbing wall, a mini-golf course, five-storey atrium and an indoor pool. You can expect all the Marella Cruises trademarks, like a fantastic dining scene, a show lounge to rival the West End, and smart, contemporary interiors. The ship’s open-air pool comes with the bonus of built-in hot tubs. The Veranda - This just-for-adults sunbathing area is located at the back of the ship, so you can relax with views of the horizon. You’ll find a second pool indoors, plus a slew of treatment cabins at the Oceans Gym and Spa. If you want to up the pace, head out to the rock climbing wall – a Marella Cruises first – or practice your putt on the minigolf green. The Broad Street Shops - indulge in a bit of retail therapy - the onboard boutiques are open when the ship’s at sea, and stock a great range of duty-free products. With 7 restaurants to choose from, including a main restaurant spread over two storeys, and two speciality restaurants – which showcase spectacular views from a setting on the top floor, you can opt for a different cuisine every night. 47° Marella Discovery’s main eatery is a big, stylish venue, finished in the colours of the sand and the sea. Daytime meals here come with a side-order of sea views, thanks to floor-to-ceiling windows, and a grand double staircase leads up to a separate eatery. Gallery 47° You’ll find this trendy Italian restaurant on the second floor of the ship’s main dining room, 47°. It’s a laid-back place, where bookings aren’t necessary, and its designer look features a colour scheme inspired by the sunset. The Glass House This place has a split personality, but for all the right reasons. 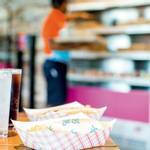 By day, it deals in deli-style light bites and freshly-squeezed juices. Come sundown, the venue turns into casual restaurant with a tapas-style menu. Plus, you can cook your own steaks on hot stones, for an extra charge. Snack Shack Festival food stalls and iconic British beach huts provided the inspiration for this grab ‘n’ go eatery. This means you can expect to pick up things like bacon butties for breakfast, and sweet chilli chicken wings, mezze salads and focaccia sandwiches in the afternoon. Surf & Turf Steakhouse As its name suggests, this speciality restaurant majors in the likes of marbled steaks and meaty lobster tails. You’ve also got other meat and fish options, as well as plenty to satisfy a vegetarian palate. You’ll pay a cover charge to eat dinner here. Kora La Our signature pan-Asian speciality restaurant makes an appearance onboard Marella Discovery. You'll find dishes created by renowned chef Ian Pengelley such as his duck and watermelon salad. The menu covers off south and east Asia, featuring dishes like Indian spiced king prawns, and Indonesian beef rendang curry. A cover charge applies for dining here, and you’ll need to make a reservation. Plush seating and an 800-plus capacity give Marella Discovery’s main entertainment venue professional credentials. The Broadway Show Lounge has 11 unique shows, including Beatz Interactive, a hi-tech dance piece featuring LED-lit costumes. You can watch movies under a star-lit sky at the ship’s outdoor cinema, enjoy a late-night flutter in the plush Casino and a Live Room complete with a signature yellow piano,and pianists and acoustic musicians take to the stage in the atrium – an elegant space that changes colour when the sun goes down.With plenty of bars and lounges, you have enough entertainment to keep you occupied for days – and nights. Bar Eleven A position on the highest point on deck 11 – where the bar gets its name from – means that drinks in this lounge come with the ship’s best sea views. It’s a contemporary cocktail bar by evening, transforming into a late-night disco as the hours pass. Deck Bar This sociable spot ticks the box for cold drinks in between dips. Live Room Marella Discovery’s flagship watering hole is their most spacious and modern yet, and houses their biggest selection of on-tap beers. Expect the atmosphere to build pace as the hours draw in – evenings might start with the sounds of our signature yellow piano, and end with the sounds of dance floor classics. Atrium Bar Grab a seat – and a glass of bubbles – at this classy bar, and you’ll have a great view of the entertainment in the atrium. Squid & Anchor If you’re craving a taste of home, our pub at sea should do the trick. It’s a modern take on a typical british boozer and, as such you can expect entertainment like pub quizzes and game shows. These are on decks 2 and 3, and accommodate solo travellers. The cabin is kitted out with twin beds that convert to a queen-size double bed and an en suite with a WC and a shower. These are on decks 2 and 3, and accommodate solo travellers. A picture window or porthole offers sea views, and the cabin is kitted out with twin beds that convert to a queen-size double bed, a sitting area with a sofa, and an en suite with a WC and a shower.